When I'm drawing and creating letterforms the "S" is always the hardest for me. I'd set aside special symbols or letter forms from other languages. I can discuss those challenges in the future. The "S" is unlike any other glyph in the alphabet. Many letterforms have curves, but the "S" is just all curves. Of course, I understand that I could draw an "S" with all straight lines, but that would be either awkward, entirely out of place or just a unique approach to a given display font design. My person joke about the "S" is that it's almost an infinity symbol because there's an infinite number of ways to draw it. Of course, there is always design inspiration always available at my fingertips - they call it Google. Sometimes when I'm stuck with a letterform, I look to others to see how they have solved the problem. I can assure you that many Google searches have been about the "S."
I'll be honest on my little blog (who's reading this anyway?). I generally save the "S" towards the end of a font creation project. I have never released a font with an "S" glyph that I believe is 100% complete. 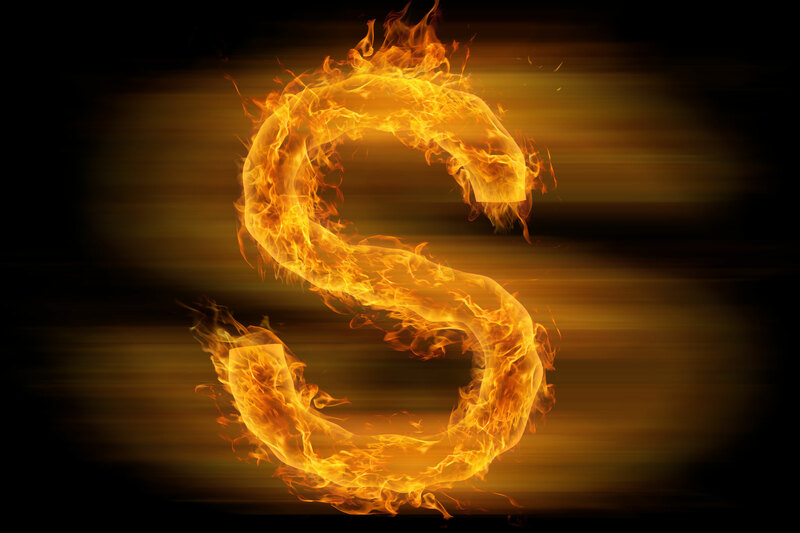 If there's a single reason, my development time for a new typeface becomes extended it's because of the "S."
So if you are checking out FontFuel.com and wondering why there has not been a recent fresh release, I can assure you it's the "S," and it's infinite possibilities.